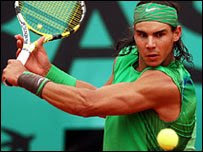 Rafael Nadal thrashed “World Number One Roger Federer” to win a fourth successive French Open title on Sunday. Nadal and Federer were playing each other for the 17th time. Nadal won, 6-1 6-3 6-0, in one hour 48 minutes to become the first man since Bjorn Borg in 1981 to win four Roland Garros titles in a row. 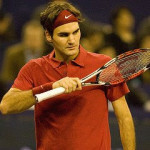 Federer had lost the previous two finals to Nadal, and was broken at the start of each set this time as he struggled to find his best form. Nadal becomes the seventh man to win a Grand Slam without dropping a set.